Big Money – Did You Check First? 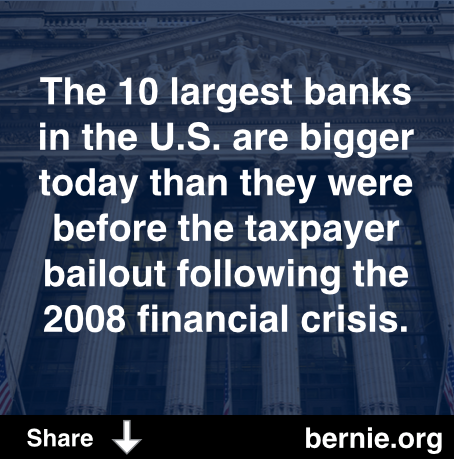 Have We Not Learned That Bigger Is Not Better When It Comes to Banking? The very people who legally crashed our economy – and those who did it illegally and still haven’t gone to jail – and have kept their bonuses are now even bigger than before. This is when our government needs to – HAS TO – step in and say…. If there was ever an industry that has repeatedly proven that it is populated with and largely led by people incapable of policing themselves, it’s the financial services industry. This isn’t a personal attack. It’s just the facts, and it’s just history. There can’t be opportunity and protection without a balance between the private sector and the government. There is no balance today. 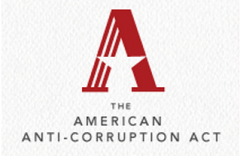 The scales have been tipping for far too long toward Big Money. This is why it’s so important that we strike at the root of all of our problems – money in politics. We must change campaign finance laws in order to get the influence of Big Money out of our political processes and out of the halls of government. It’s the only way we can expect to have any influence as ordinary citizens over our elected officials. 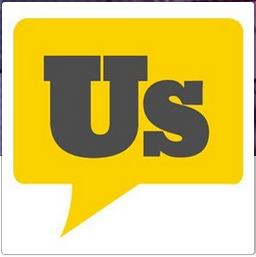 Join up with other concerned citizens who have come together to make their voices heard. Here are some of my favorites. Please feel free to share this and to add others. Author Peaceful PatriotPosted on July 20, 2014 Categories bail outs, Bernie Sanders, capitalism, Citizens United, corporate welfare, deregulation, economy, free market, greed, Magnetar, middle class, politics, regulation, richest 1%, TARP, The Invisible Hand, trickle down economics, Wall Street, wealth distribution in AmericaTags #GetMoneyOut, #MayDayPAC, American Anti-Corruption Act, Bastille Day, Big Money, Move To Amend, Represent.US1 Comment on Have We Not Learned That Bigger Is Not Better When It Comes to Banking? 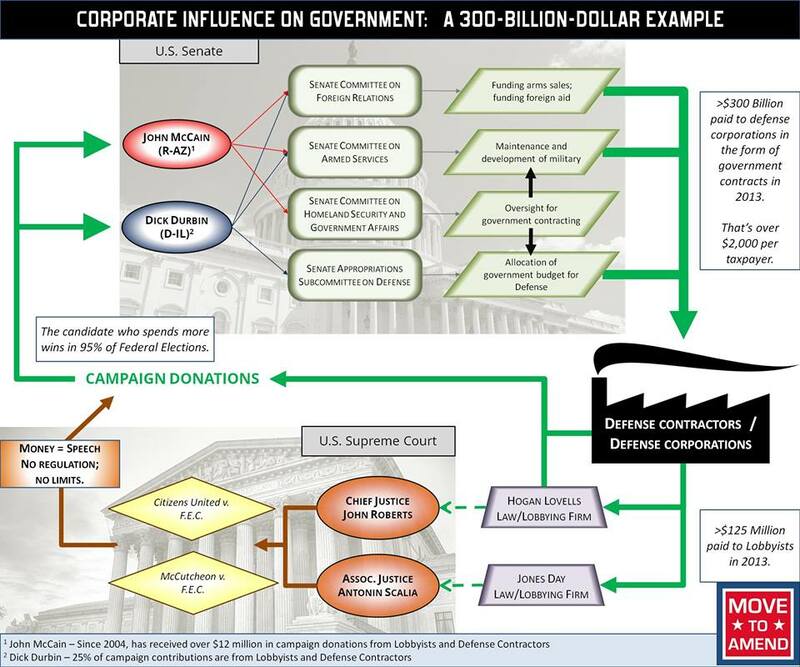 A very straight-forward “map” that leads to a crystal clear understanding of 300 billion reasons why your support for getting big money out of politics is so important. Look, it’s going to be this simple. Future generations will either thank us or curse us. I can’t see any middle ground or forgiveness. We let this happen. Now we need to fix it. 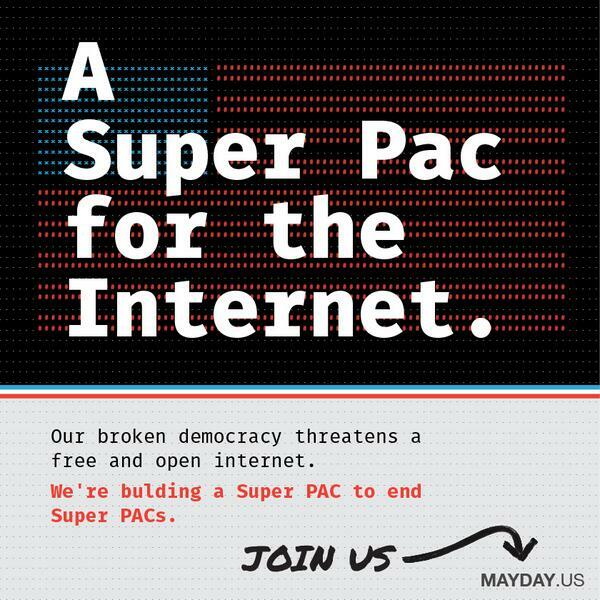 Here’s the MayDay plan in a nutshell from the MayDay.US website. We need a team of legislators in Congress who will champion the public policies necessary to fix our broken government, starting by ending the stranglehold of big money on our political system. For 2014, our goal is to create a $12 million fund. With that money, we will make fundamental reform the key issue in five congressional races. And win. p.s. One option is to just pledge. If the goal of $5 million isn’t obtained by July 4th, you keep your money. FANTASTIC NEWS!!! THANKS AND CONGRATULATIONS TO VERMONT’S LEGISLATORS!!! WE CAN DO THIS!! 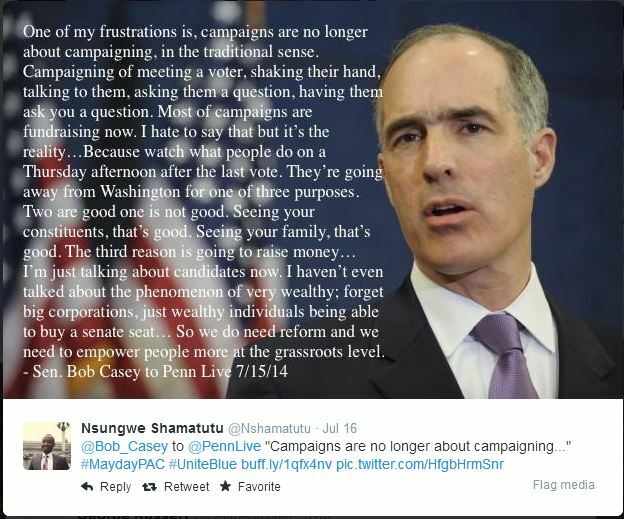 WE CAN #GETMONEYOUT OF POLITICS!! Cenk Uygur (http://www.twitter.com/cenkuygur) host of The Young Turks delivers this amazing news. 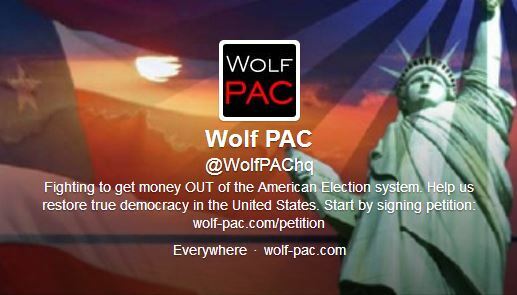 SUPPORT the 28th Amendment to #GetMoneyOut http://www.wolf-pac.com/petition?=tyt&#8230;. There’s not much time. The vote on HCR 10 is tomorrow, March 13. The NH House of Representatives is one of the largest legislative bodies in the world with over 400 members in the house alone. On Thursday morning, they be will voting on HCR 10, which is a resolution calling for an amendments convention to propose a free and fair elections amendment. With so many legislators, its really difficult to get a hold of them individually so they set up an email address that you can send them an email all at once. 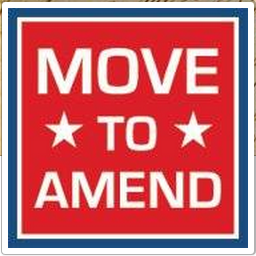 Your email could help NH become the first state to call for an amendments convention, so make it a good one! You may not be able to make it to the NH statehouse this week, but you can still make a difference at home by writing an email, persuading legislators to vote the correct way and making the case for real representative democracy. PS. If you can’t make it to the NH statehouse this Thursday (March 13th), reply to this email and I’ll connect you with other folks who will be attending too. Thanks! While I am not a resident of your great state, I would like to encourage each and every one of you to vote for HCR 10 on Thursday. A vote in support of HCR 10 will be seen by ordinary citizens like me as an act of courage and patriotism that I and others like me can then hold up as an example for our elected state officials to follow. Now more than ever, our country needs fearless leaders committed first, foremost, and always to being representatives of the majority of Americans who are ordinary citizens over and above representing individuals of great wealth and power. Your vote tomorrow on HCR 10 will show the whole country whom it is that you represent the most. We ordinary citizens are counting on you to vote in favor of HCR 10.